Scroll Saw Class is in Session. If you ever thought you couldn’t use a scroll saw, you might be wrong. Our friend Greg, who took the aerial pictures of our neck of the woods from the helicopter, asked Jim to make him a custom piece for a friend of his. Then he had a brilliant idea. He asked if he could help, and that would give it more meaning (and him more bragging rights). This was a fun project. We have the original deed to our land from September 8th, 1952. We were looking for something else one day and came across it. We decided it should really be framed in order to better preserve it. 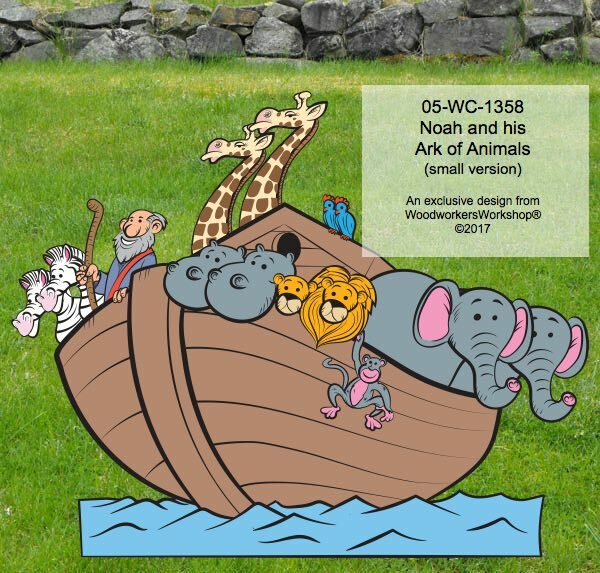 Today we added a fun new design from Monica Sugg, an artist living in the Halifax area of Nova Scotia, Canada. 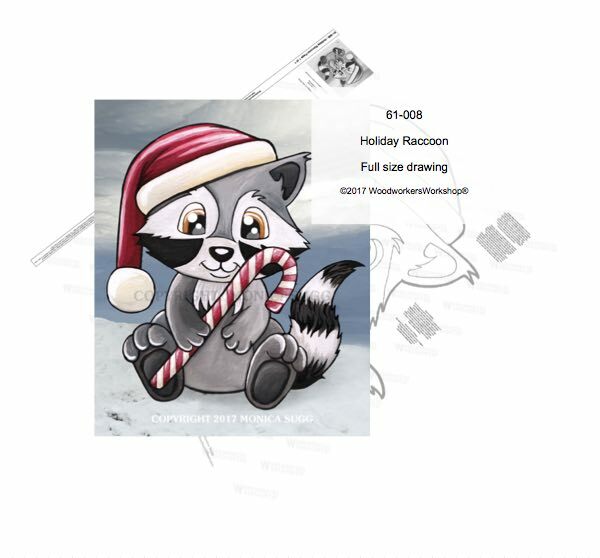 This Holiday Raccoon measures 28.5 x 30 inches in size. We provide the full size drawing for you to successfully complete this project. While at our online store take a few minutes to view the thousands of other yard art projects you can use to decorate your outdoor living space! Before we sell new plans in our store Jim likes to build a prototype just to ensure all parts are the correct size and also to create a booklet to go with the plan to help describe the steps in building the project. I feel like we accomplished a lot this weekend. First up was finishing the painting of Santa, and Christmas Nativity and Stable for a customer. So much to do and so little time. Thats how it seems anyways. We haven’t had a chance to mill anymore poplar logs and now we have a pile of pine to get done before winter. We have a running list in the office and other things have to get done first. A lady in our neck of the woods contacted Jim to see if he would have time to install a new glass storm door for her. On Monday morning we got a call from the store that sells our folding bench/picnic tables to tell us they sold the last one and could we bring another.